Everyone loves to have that brick finished aesthetic wall. But the most important step is to decide on the wall where the brick slips will go. It is important to choose the right wall which naturally draws your attention to it. Earlier it was difficult to have a featured wall with windows and doors. Nut brick slips took over this disadvantage and set new records. Brick slips can easily be applied to the corners of the windows and the doors. Brick slips installation have few simple steps which avoid making it a messy process. Brick slips perform just like the traditional brick or even better. Brick slips are the best options to choose from and can be easily bendable internally and externally at homes, they can be installed inside the home and offices for interior decoration and outdoors along the exterior of the building. Brick slips come in many shapes and sizes depending on what customers demand and what a company can offer. 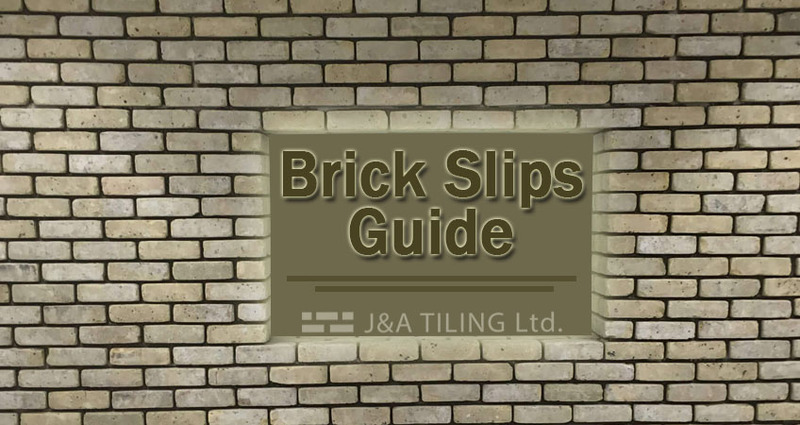 When talking about the cost to install the brick slips may vary depending upon the type of brick slips, colour sizes and other varying factors that decide the cost of your project. Brick slip cladding despite being expensive than the traditional brick installations has a variety of benefits over the bricks. Like, the save a lot of space and are comparatively more durable and possess a longer lifespan. And the cherry on the top is brick slips are really low maintenance. If you’d like to know more about brick slips installation get in touch with us today. J&A Tiling is a renowned brick slips installer and supplier in Essex and London. We offer an extensive range of brick slip cladding and tiles made from a variety of materials that include natural clay, acrylic and ceramic. Call us today and get a ‘free’ quote for your preferred brick slips installation.